At 25 weeks pregnant, nesting has kicked in! Up until now I have had no desire to clean or organize and I’m a ridiculous clean freak! My #1 hobby is purging, so it was so bizarre that I just did not care! But slowly that desire came back and I was even contemplating at 1 a.m. the other night if I could go deep clean our pantry. haha! 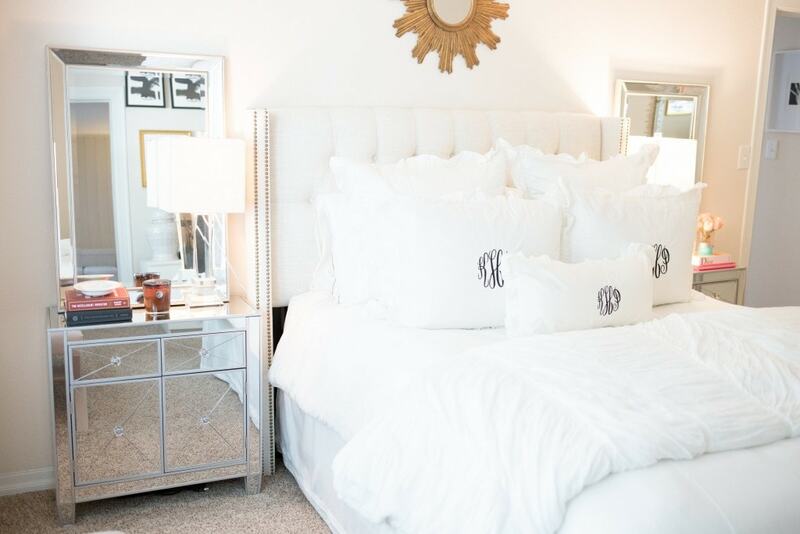 One of the first rooms I wanted to purge and organize was our master bedroom. 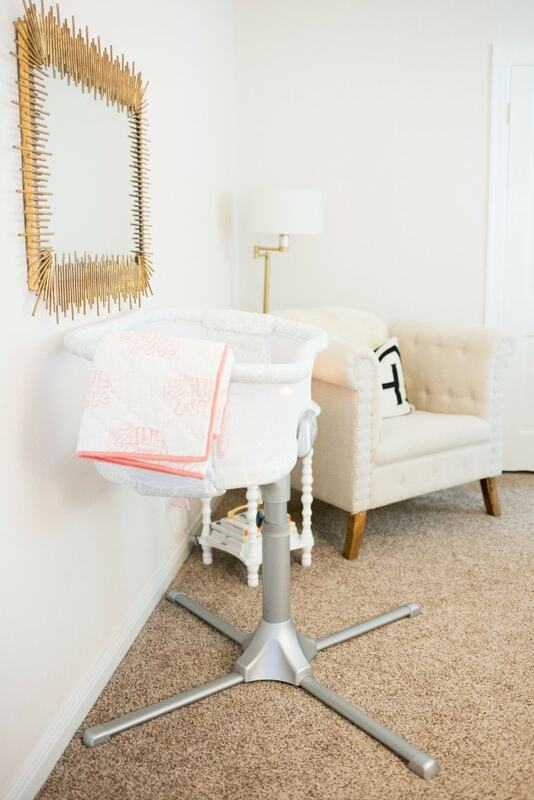 I knew that no matter what I wanted our master organized, clean, and filled with lots of new pajamas since I’ll be living in this room for quite a while after we bring our little girl home from the hospital. This room has an odd layout, because when we bought it the room had 4 doors going into it! 1 to the hallway, 1 to my office, 1 to the closet and 1 to the outside. The very first thing I did before I even moved in was enclose the door to the outside. Paul and I didn’t live together before we were married so I lived in this house for about 6 months and I was not about to sleep next to a door that went outside. I watch far too much Law & Order SVU for that. Far too much! But even after we enclosed a door it still has an odd layout as it is a smaller bedroom and you’re dealing with 3 doors as opposed to the standard 2. So that’s why it’s a little bit harder to photograph and you can’t really see the whole room in one shot in case you’re wondering. 🙂 But numerous doors and all, it has become one of my favorite rooms because it is so relaxing and clutter free! 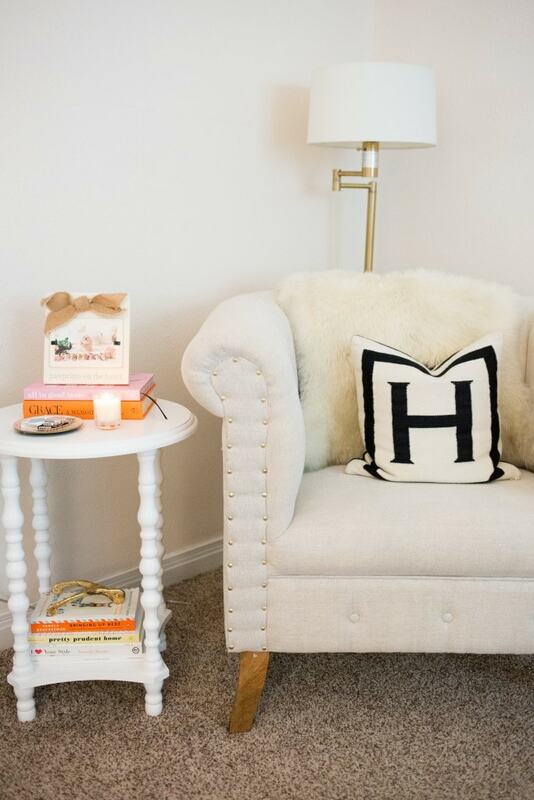 I’m all about decorating your home in products you love, not products you “think” you’re supposed to love. 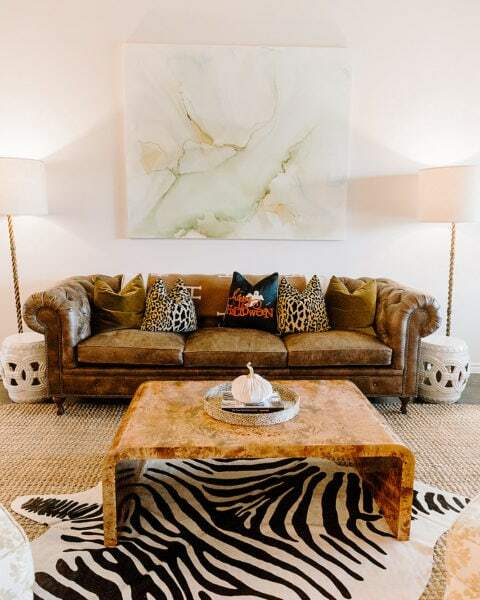 So if that means you have a big zebra ottoman, that means you have a big zebra ottoman. And more people will probably ask you where you got it than if it were just neutral! 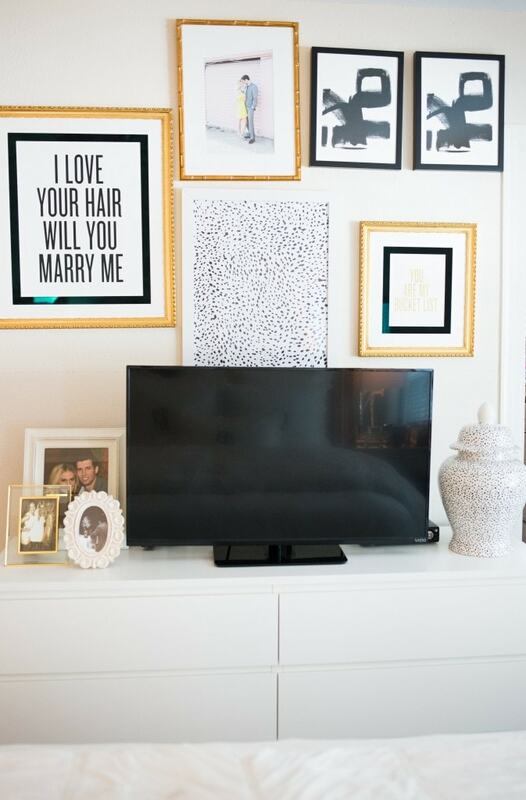 😉 So go on and decorate with what you love! 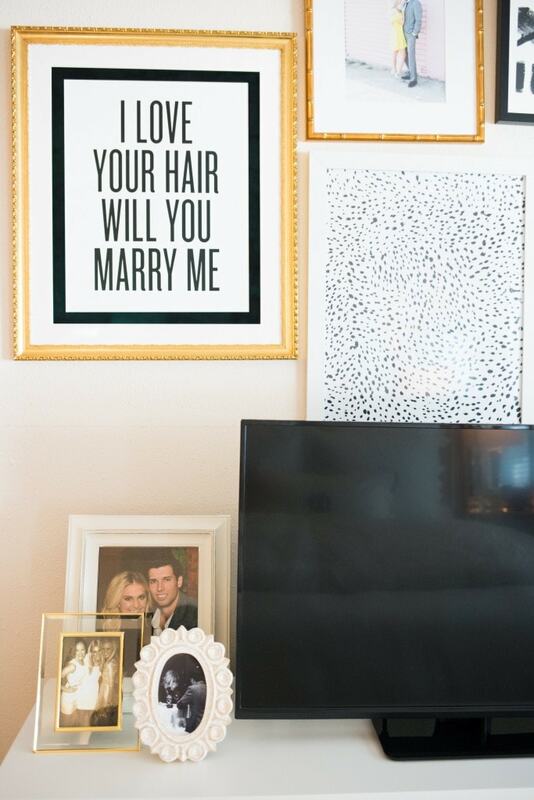 But I definitely didn’t want to do anything overly trendy or eye-catching in our bedroom. I kept it to mirrored, white and linen furniture and I’m so glad I did. These pieces are the first and last things I see each day so I wanted it to be calming and feel like we were at a hotel. 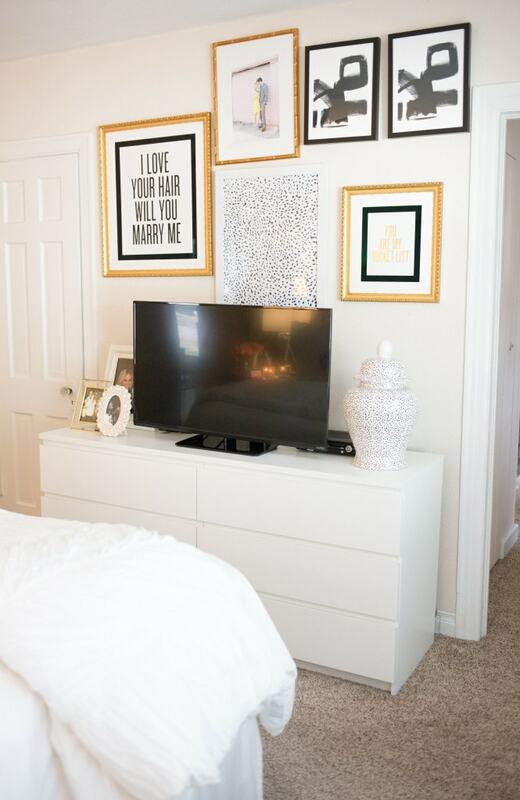 These nightstands were my favorite piece we found for our bedroom because of the cabinets. 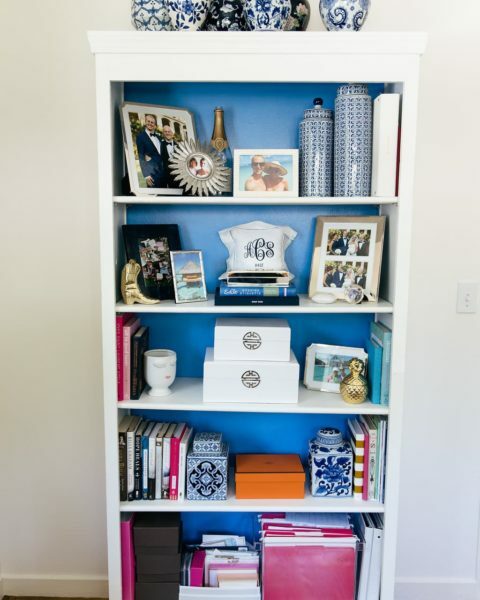 We had open nightstands and I hated how you saw all of our books and clutter. It just didn’t seem relaxing, it made me feel like I needed to get up and organize things in a certain spot. Now I can shut the cabinet and not see it. I’m sure when baby H comes I’ll keep things like burp clothes, diapers, etc. for when I don’t want to go to her nursery in the middle of the night to grab something. Here is a similar one in stock. 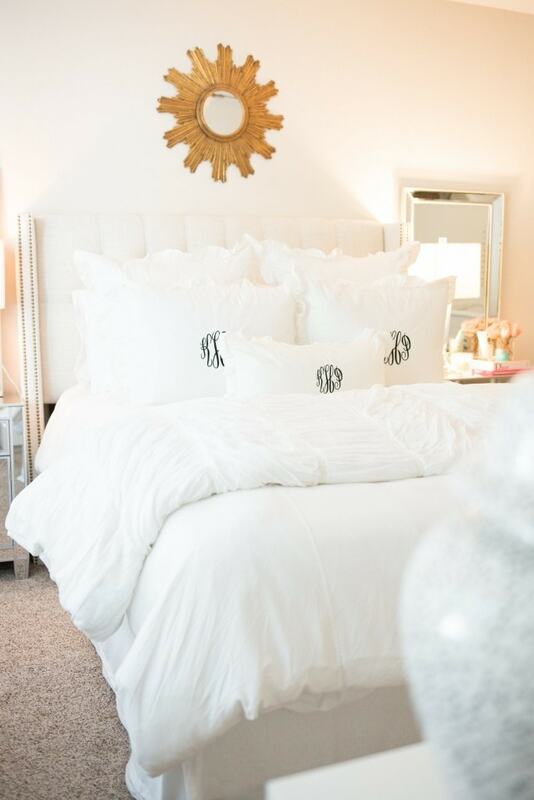 I’m a big believer in white bedding and I 100% acknowledge it can be intimidating. I mean before I was pregnant my two favorite things were red wine and spray tans, the ultimate enemies of white bedding. 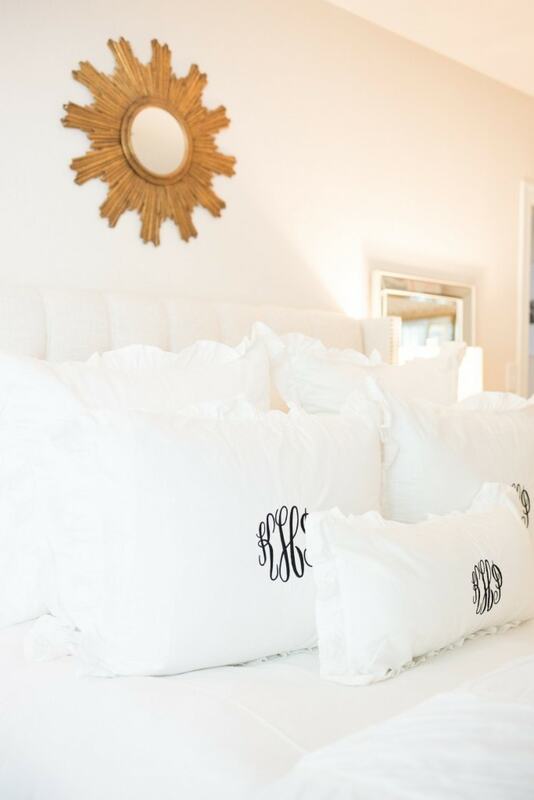 Here is a post I did this past summer on how I keep our bed linens white. A trick for making your bedding feel like a hotel is to put two duvets in your duvet cover! 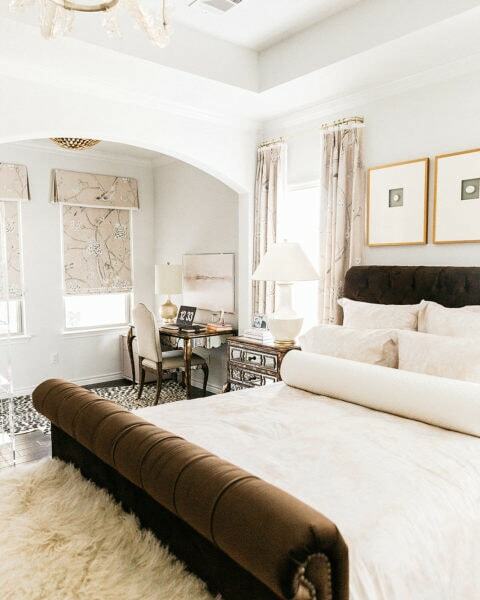 That’s what stores like Pottery Barn do to make you want to dive into their styled beds on the floor. If you don’t like that look another trick is to add another white duvet in a different texture at the end of the bed. Our duvet is Pottery Barn so it’s very classic and then I put one from Anthropologie [a bit more trendy] on the end of the bed. Or do the reversal with a more textured duvet and something clean on the end. 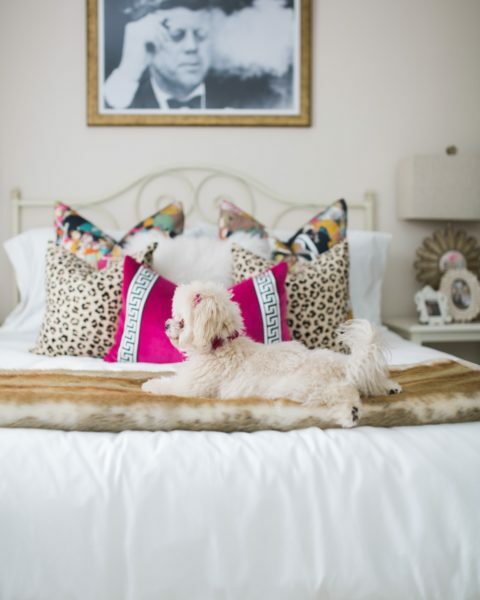 I also suggest picking up a few faux fur sheepskin throws to throw on the back of a chair or to put on the floor by your bed. 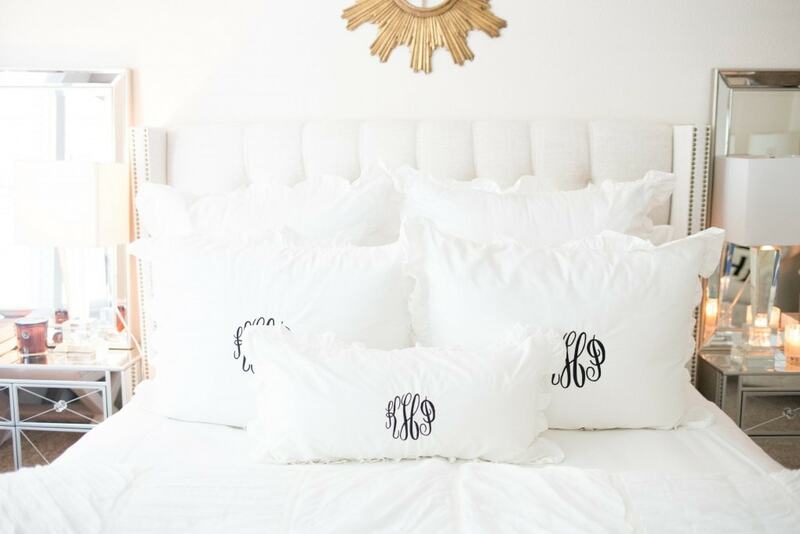 Or if you are still living in a bachelorette pad I would sweep these up and throw them on my bed- so feminine and romantic! Nothing makes you feel less peaceful than waking up in a face full of makeup or with dry, tired skin. 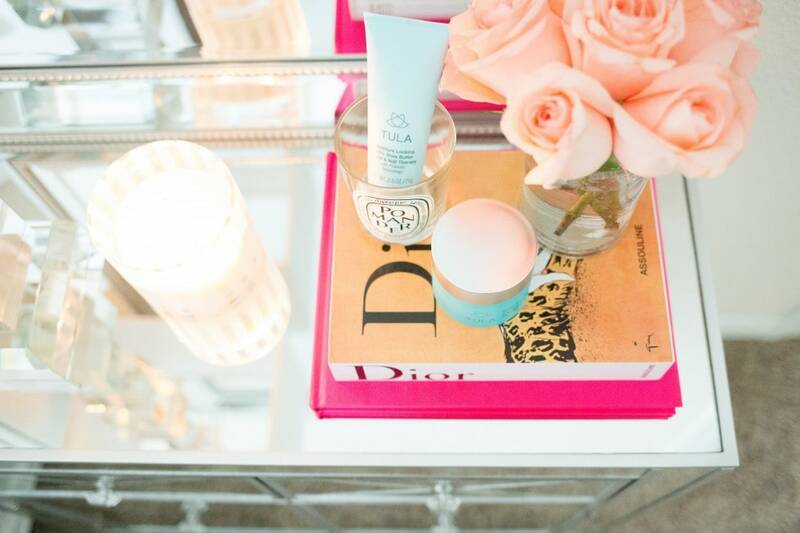 To combat both of those issues I have a trick to keep my favorite nighttime routine beauty products on and in my nightstand. This makes it to where I honestly can’t NOT use my products no matter how exhausted I am. I keep makeup removing wipes [which I don’t encourage, but if you’re exhausted this is better than sleeping in makeup! ], an overnight treatment/moisturizer if I have already washed my face and a hand cream. I know most of you aren’t pregnant, so I wanted to share my favorite overnight treatment before I was pregnant! 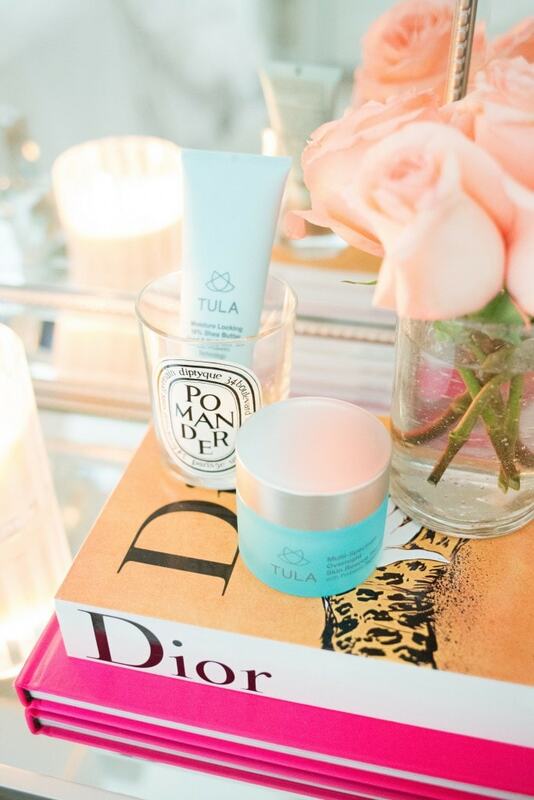 Y’all know my love for TULA and they created an overnight treatment that is meant to repair your skin. The Overnight Skin Rescue Treatment is an anti-aging product [which is why I’m skipping during pregnancy] but it also moisturizes, repairs damage, REDUCES pore size [amen! ], and heals any issues you have going on. Meaning if your skin is confused like mine can be and has blemishes and fine lines, it will work to repair both overnight. You also wake up with a really plump texture that looks like a fresh-faced model. The other product I keep is the TULA hand cream in my nightstand. One trick for extending manicures is to use a generous [more than you normally would] amount of hand cream right before you go to sleep and I let it absorb overnight while I sleep. This helps my cuticles stay soft and polish stay on because this TULA product is not only a skin treatment, but a nail therapy treatment as well. Because my nighttime routine consists of TULA they were so generous to give COF readers 25% off until Friday! Use code: shopkatey25 at checkout and get 25% off [it just won’t apply for the duo hand cream sale they currently have going on]. If you haven’t tried TULA, I really suggest the discovery kit so you can get a feel for everything here. Or if you are interested in just the hand cream [it is so good and doesn’t leave your hands feeling greasy!] they are currently running a special. You can purchase two creams here for $32, which is 30% off! Keep them both for yourself or gift one for the holidays. 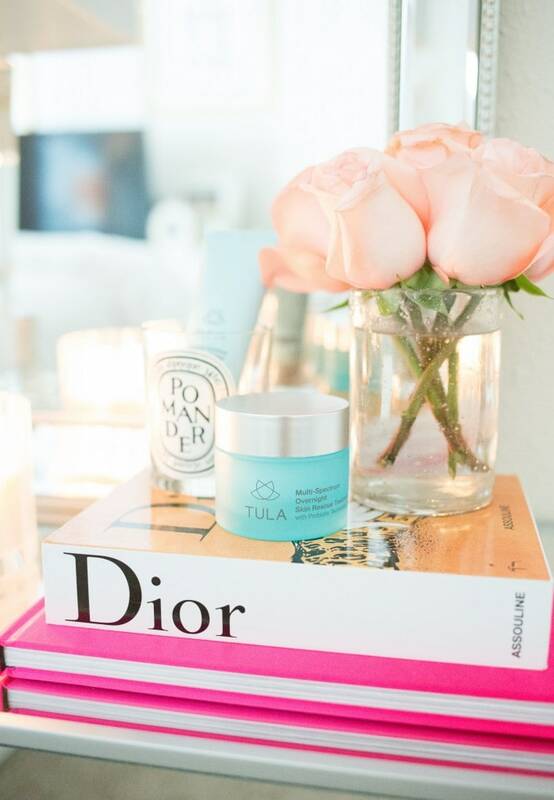 My top two favorite TULA products are the exfoliating treatment mask which heals any blemish for me in two days and their cleanser which I buy in bulk. I always buy 3-4 at a time because someone that shares a home with me *my husband, cough* uses this stuff up like candy. Here’s a few other posts I’ve shared my reviews on the skincare line if you are curious and haven’t read them before: here, here, here. 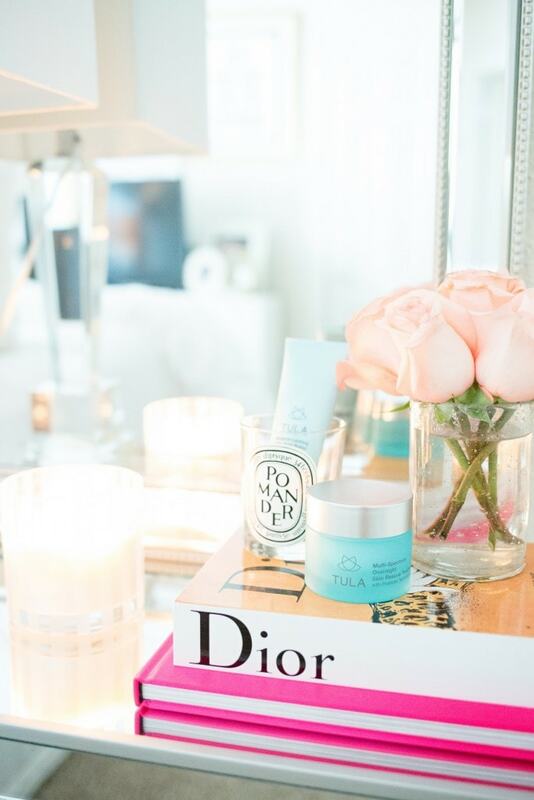 What are your favorite things in your bedroom?! One last reminder you can get 25% off TULA until TOMORROW with code: shopkatey25 at checkout! P.S. I do want to note she won’t sleep with that quilt in her bassinet of course. I just thought it was a sweet addition for tummy time and cuddling in our room. 🙂 The bassinet also won’t be under a mirror when she is sleeping. 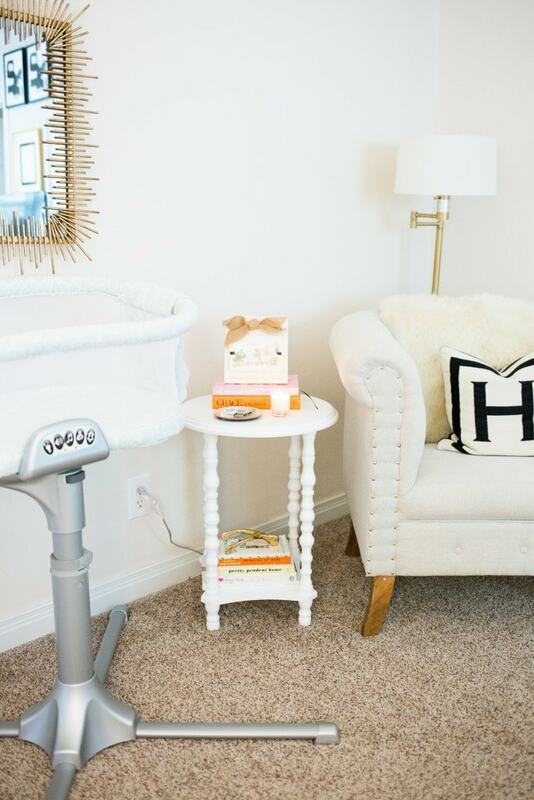 The reason we went with the Halo is it swivels and is meant to be placed by your bed while baby sleeps so you can easily sit up to nurse, etc. It’s just right there until she comes home from the hospital. P.S.S. I use the other TULA products while pregnant! My doctor and dermatologist approved, I just have chosen to stay away from anti-aging or eye cream while pregnant! I use the cleanser and moisturizer daily. Katey your room is beautiful. 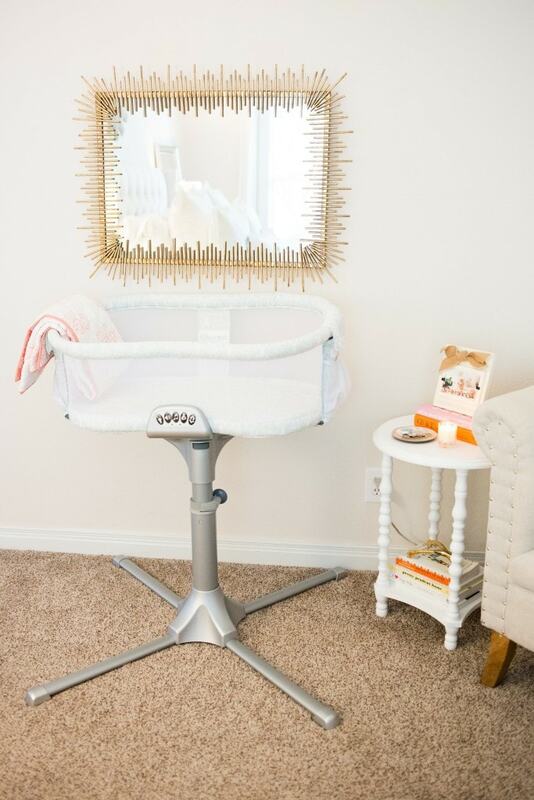 I was just thinking that you might want to remove the mirror over the bassinet for awhile. I keep thinking that it could fall, especially if you accidentally bump it. Sorry to be overly cautious. 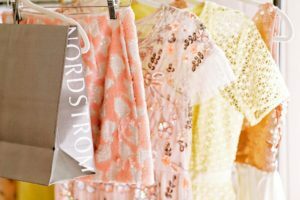 I have had five babies, so I know what can happen to sleep deprived moms. Thank you so much! 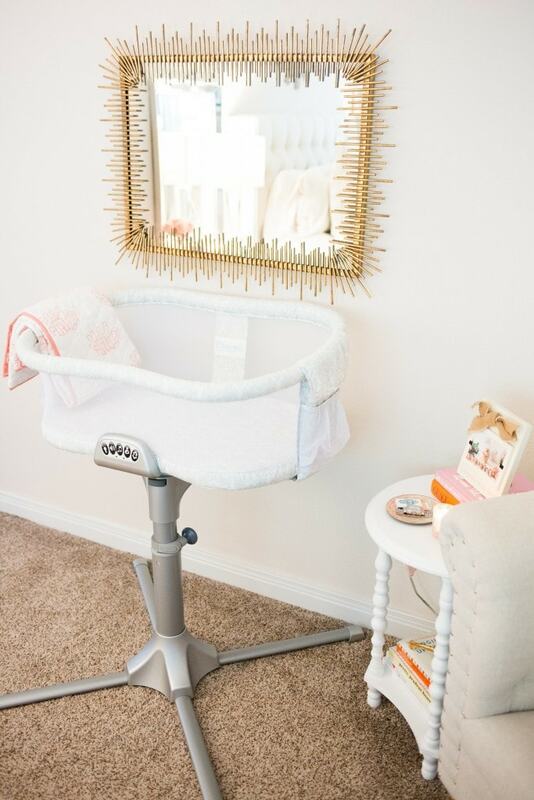 The halo bassinet actually moves by your bed so she won’t ever sleep against the wall, it will be by me. That’s just for being out of the way during the day. 🙂 Thank you! Which moisturizer? It looks like they all have products that aren’t safe for pregnancy….? Thanks! Love your blog!! 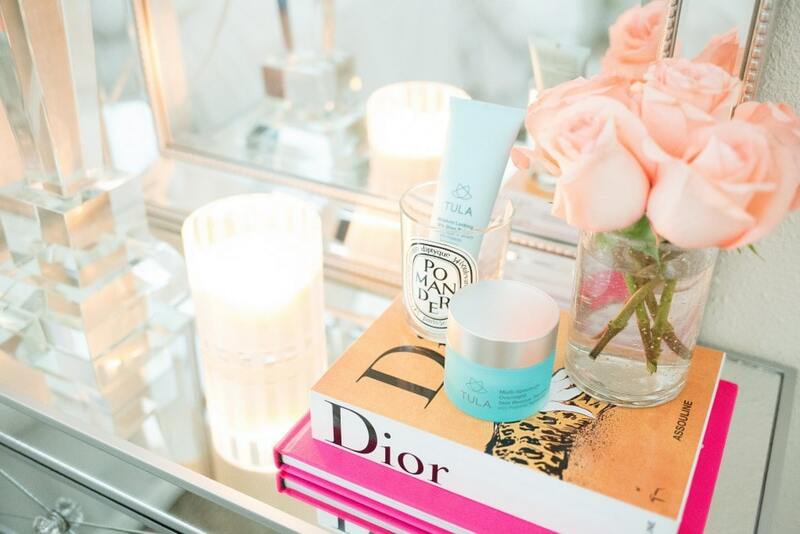 The day and night moisturizer. My OB and Dermatologist both approved but of course if you’re pregnant ask your doctor to approve! When I was pregnant I made an appointment with my dermatologist so she could look over everything percentage and ingredient wise and she said it was great. The head of product development for TULA was actually pregnant creating these products and used them while pregnant with that in mind. Some people prefer to use all natural skincare while pregnant so it is whatever you’re most comfortable with for your body! Great! Thank you so much! Congrats on your pregnancy!! Being a mom is the greatest/hardest adventure you’ll ever take. 🙂 I’m sure you’ll be a wonderful mom! I am pregnant as well and just a few weeks behind you so I love seeing your baby updates and product recommendations. What is the specific Tula product that you use at night now? Congratulations! So sorry I put so many “P.S.” disclaimers it was probably hard to see! haha. I use the cleanser and the moisturizer. 🙂 I also use my clarisonic with it and that’s all I’ve needed so far! Love all the white! Unfortunately for me, I can’t have white because I have a black lab… Your home looks great! Your room looks so warm and cozy. I especially love the wall color. Do you by chance remember the name/brand paint you used? Thanks! Thank you so much! The previous owners painted the home so I don’t have the color. So sorry!! 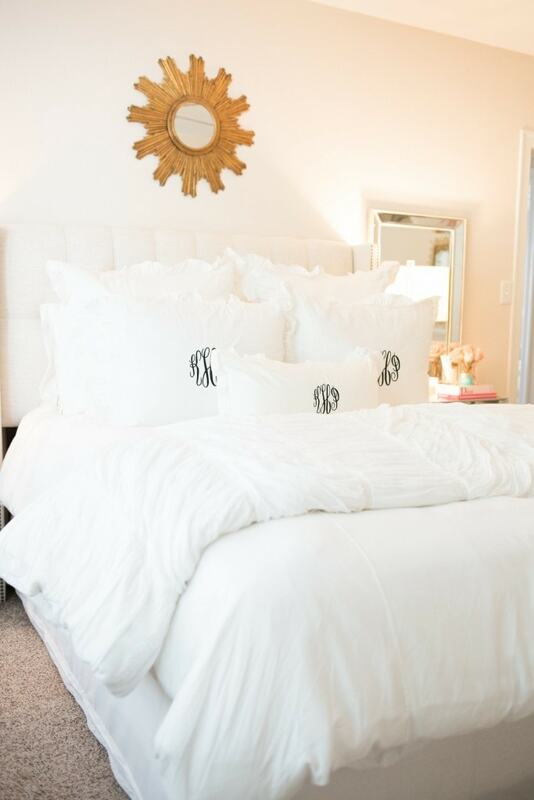 Love this post and need to get new white bedding so this Pottery Barn is def going to be a great option. Great choice on Halo! I don’t have kids, but I’m familiar with their products and reputation for baby safety. Halo is such a respectable company born out of tragedy when the founder’s infant died of SIDS (not sure if you knew the backstory!). 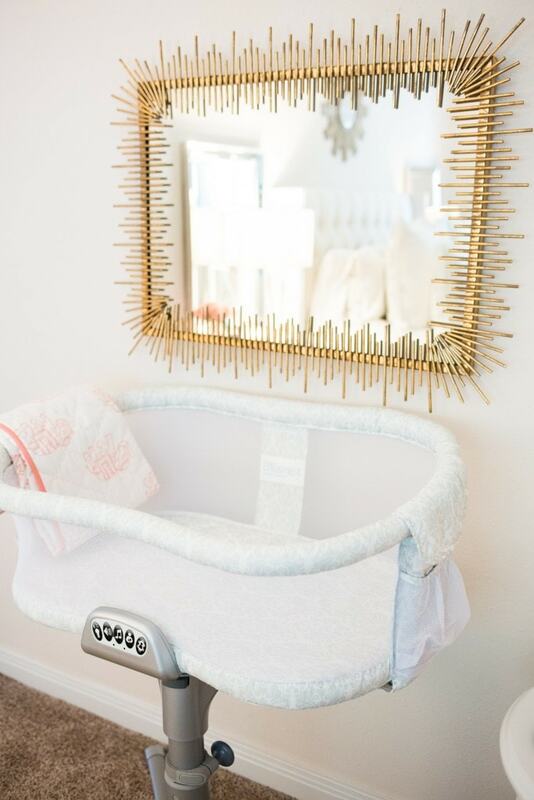 He and his wife have done an impressive job bringing health and safety to baby products in an innovative way with their swiveling bassinet and SleepSack (they created the category for wearable blankets). Your room looks great! Just ordered the overnight skin rescue, so excited to try it! 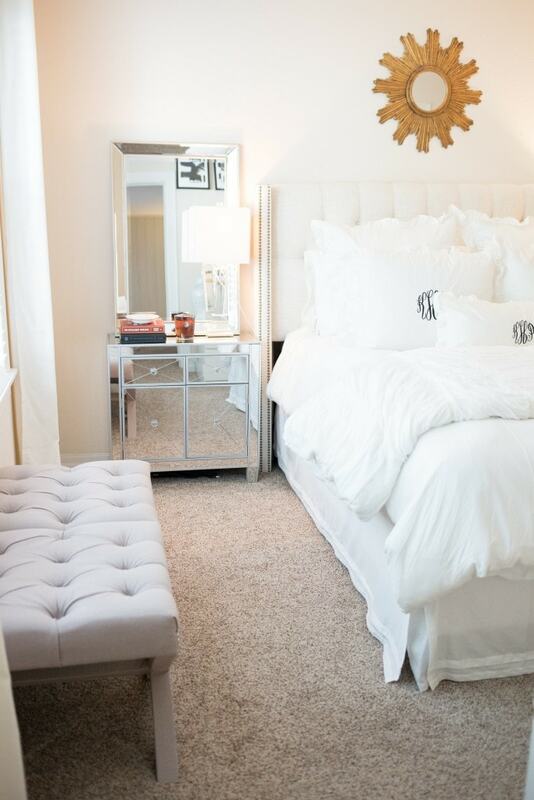 I love a crisp looking bedroom!! Can I just tell you that I absolutely love your openness to c/o!!!???!!! Most bloggers do not disclose like you and it irritates me. ???? I love your bedroom!!! 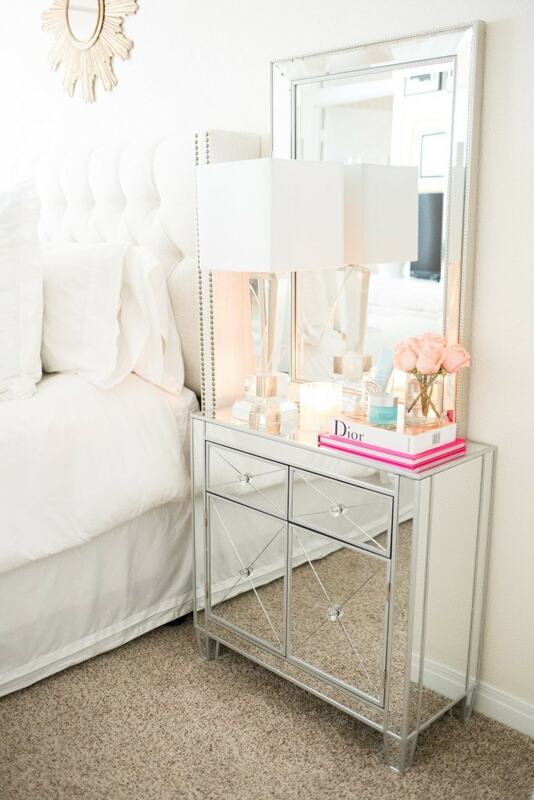 We have all white bedding as well and I’m dying for new nightstands. I can’t wait for you to be a Mama (like baby in your arms!). 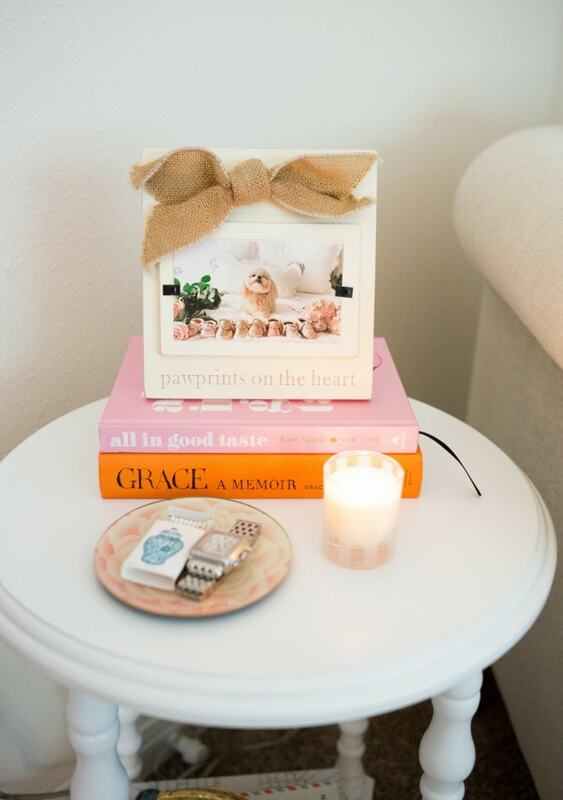 Your bedroom is so pretty! I love your white bedding! Hi, Katey! I am 24 weeks pregnant and just ordered the TULA cleanser, day and night cream, and the exfoliating mask. Do you use the mask while pregnant? Do you also recommend a good brand for pillows and a bed skirt? Are they PB too? 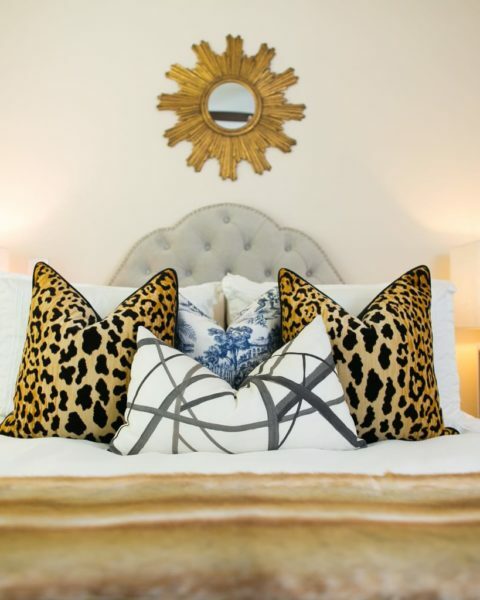 Have you tried silk pillowcases too and like them? Hi Katey! I love your headboard! Do you know what color yours is? 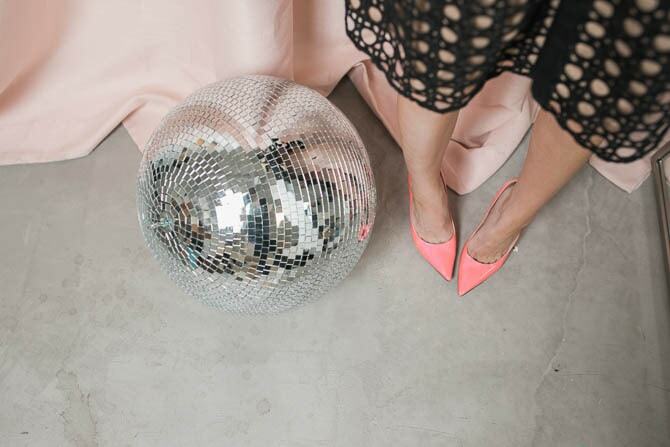 There are a few color options online but I love yours the most! Congrats on your sweet baby girl! Hi Katey! 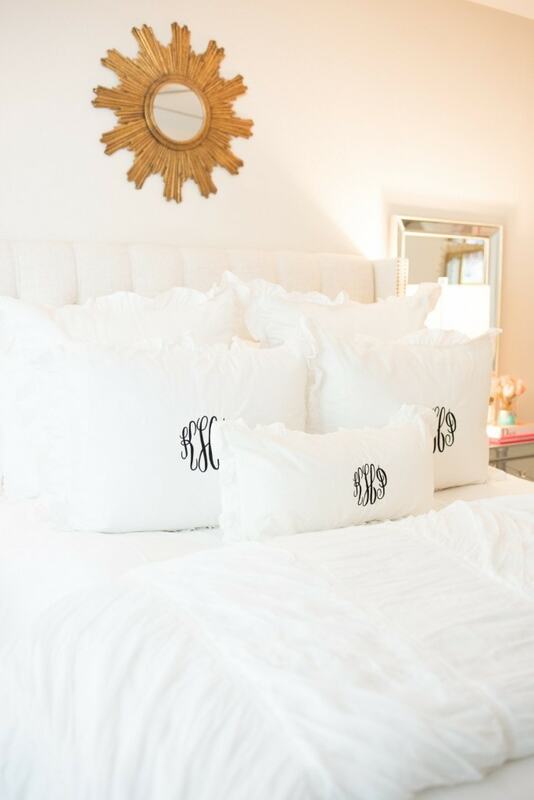 I am obsessing over your monogram pillowcases. I clicked on link to purchase cases but who did your monogram? Love from San Antonio, TX! I’ve been such a fan of your blog and your style over the years. One thing I especially love is your choice in vases. 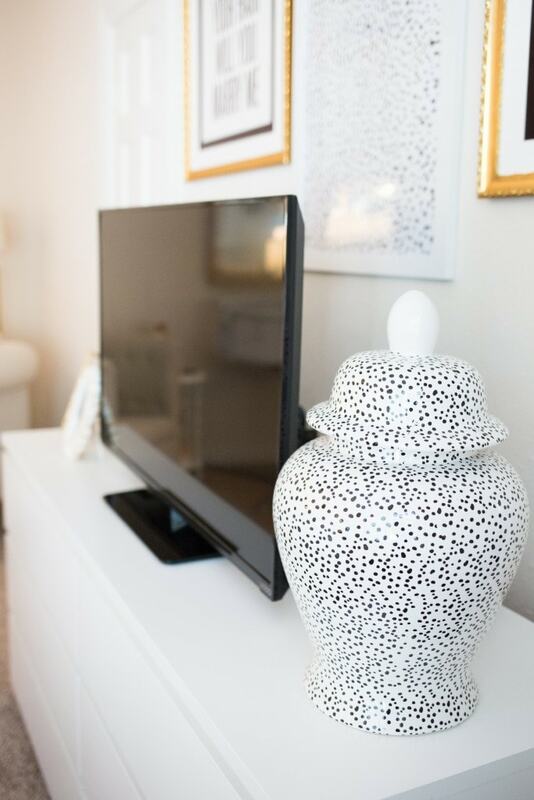 Where do you find your adorable ceramic vases?? I’m obsessed with this dotted one! Love from a Texas girl in Chicago! Hi! 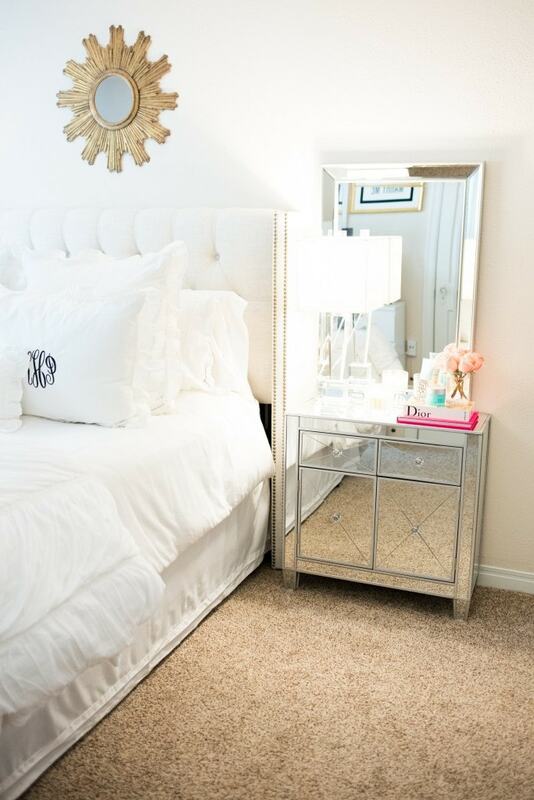 What are the dimensions of the wall mirror above the mirrored chest? Thank you!! I was wondering where the bed/matress is from?? ?